The International Federation of Gynecology and Obstetrics (FIGO) recently approached London Translations to assist with the translation of website copy into French and Latin American Spanish. 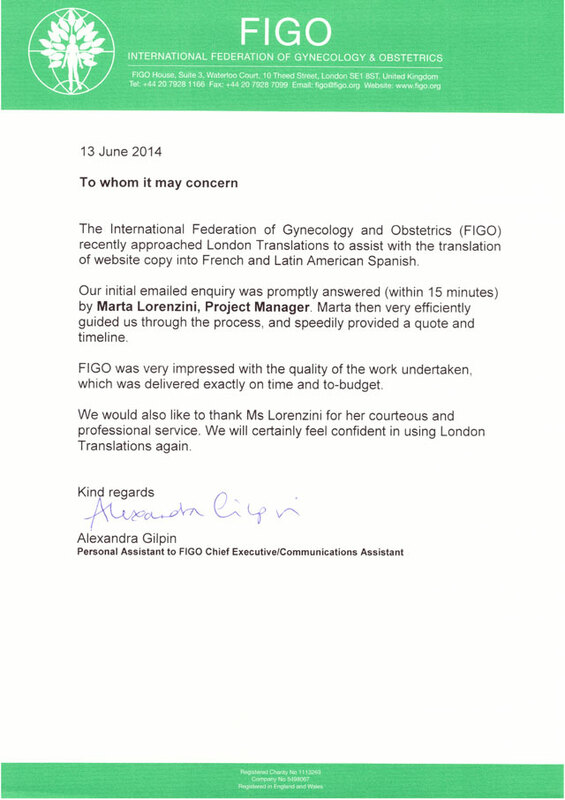 Our initial emailed enquiry was promptly answered (within 15 minutes) by Marta Lorenzini, Project Manager. Marta then very efficiently guided us through the process, and speedily provided a quote and timeline. FIGO was very impressed with the quality of the work undertaken, which was delivered exactly on time and to-budget. We would also like to thank Ms Lorenzini for her courteous and professional service. 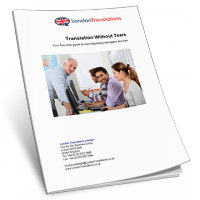 We will certainly feel confident in using London Translations again.